AND ENGINEERED IN THE UK. Celestion Impulse Responses are professionally recorded guitar speakers made digital. You can add them straight to your guitar sound either on your desktop Digital Audio Workstation (DAW) or in your standalone amp modelling hardware and immediately get awesome speaker tone, just like you’re being recorded by a world-class engineer in a world-class recording studio. Working in collaboration with multi-platinum producer/engineer Mike Spink, we set up base at Decoy studios (home of multi-platinum mixing engineer Cenzo Townshend) with the intention of producing the finest most accurate possible digital representations of Celestion speaker tone. Try different cab types, different spot mics, (plus stereo room mics), multiple mic positions, mixes and wet/dry blends to find your perfect tone, without having to set foot in the studio or set up a mic stand. The result is a comprehensive library of professional level digital impulse responses for you to download and use… and sound like a studio pro. For each of our world-famous guitar speakers we’ve provided impulse responses in five different cabinet types: (closed back 1×12, open back 1×12, closed back 2×12, open back 2×12, closed back 4×12), and made them available in two different lengths at a range of sample rates. We’ve recorded the speakers using three industry standard professional recording microphones (Royer R-121, Sennheiser MD421 and Shure SM57). For each bass speaker we’ve provided impulse responses in the most popular cabinet types for the size of driver, and again made these available in two different lengths at a range of sample rates. We’ve recorded the speakers using three industry standard professional recording microphones (AKG D112, Neumann FET47 and Sennheiser MD421. )Not only do you get the six different types of microphone-specific impulse responses: balanced, dark, dark 2, bright, fat and thin (representing six different mic placements). You also get a range of mic mixes, plus all three with room microphones added in (mono or stereo). In addition the room mic only impulse responses are included in the package, so you can choose to add them in yourself. For the guitar speakers all the mic mIxes are available mixed to suit your higher or lower gain amp sounds. For bass speakers we’ve also included a horn driver, recorded with a Neumann KM84, so you can choose whether or not to add a little extra treble into your mix. With all this superb, professionally recorded tone, we’re confident you’ll find one that’s exactly right for your project. Note: Celestion Impulse Responses are provided in .wav format and are available as digital downloads only from celestionplus.com. They have been put into zip files for faster downloading. Download your chosen IRs from the My Download section of the site. Simply choose a cabinet type in the first drop down menu and select your chosen sample rate or hardware manufacturer from the second drop down menu. The impulse responses in each speaker/cabinet pack are provided in a number of different sample rates as follows: 44.1 kHz, 48 kHz, 88.2 kHz, 96 kHz. They’re all available for you to use now you’ve purchased the IRs: you can either download the single format you need right now, (and download a different format later), or you can download all formats at one time. If you want to download the IRs at all sample rates, simply select all sample rates at the top of the dropdown menu. Alternatively, select a manufacturer to download the IRs for that brands of amp modelling hardware. If you’re using a desktop DAW, then the sample rate and length you will need is dependent on how you’ve configured your project’s settings. Select the sample rate that best suits your project parameters. If you’re using standalone amp modelling hardware then the sample rate and length you need is determined by the make and model of your hardware. We’ve pre-configured a number of popular amp modelling hardware types to make selection easier. If you’re downloading the impulse responses for one of the hardware types shown in the table below, simply select the manufacturer on the drop down menu in Your Downloads. If the hardware you’re using isn’t shown, don’t worry, just pick the sample rate and length that’s best suited to your hardware (this info is usually to be found in your hardware’s documentation). * The wav file requires a simple conversion to manufacturer-specific format, refer to your documentation for further information on the conversion process. Note that for each purchase, you have the option to download a different format (sample rate or manufacturer) of the IR files at any point. If you are using a hardware type that is not listed here, the Celestion IR files should still be compatible with your chosen brand. Consult your hardware’s documentation for further information on the sample rate you need to download. For example, if your hardware requires a 48 kHz sample rate, select 48 kHz from drop down menu 2. Once you have chosen the cabinet type and sample rate/manufacturer, you’ll see your download link(s) on screen. We will also email a link to you. This will take you directly back to the My Download area when you’re ready to go. Click on the Download button to download the zip file containing all your purchased IR files onto your hard drive/device. In Windows, you can view the contents download file with a program such as WinZip. Right-click and extract the zipped file to automatically save in a folder titled like the zip file, or go into WinZip and unzip to name the folder as you wish. On a Mac, double-click the zip file to unzip it. Once you have unzipped the IR download you’ll see only the files you need. If you have decided to download one or all sample rates (44.1 kHz, 48 kHz, 88.1 kHz and 96 kHz) for a particular speaker/cabinet combination, the file structure will look similar to one branch of the example below. Note: The rear microphone is included in the Shure SM57 folder. It should not be used in isolation, but mixed with another spot microphone, which for the SM57 in particular really helps to fill out the bass. If you decide to download the IRs for a specific hardware type, you will just get the IRs in the sampling rate and length compatible with your device, shown here. Contents of the Zip files will be structured as above. SpeakerName CabinetType Microphone MicrophonePosition Celestion.wav. Celestion’s impulse responses (IRs) have been generated as .wav files, designed for compatibility with a desktop DAW (a Digital Audio Workstation such as Pro Tools, Logic Pro, Ableton Live, and many other excellent options) or with standalone amp modelling hardware. To use the IR you need a convolution plugin that’s compatible with your DAW. There are many plugins freely available on the internet and any convolution application that is set-up to work with third party impulse responses, and is compatible with your chosen DAW, will be fine. Load an impulse response into the convolution plugin by pointing it to one of the files you’ve downloaded. Note: the IR files are available at four different sample rates. Use the one that matches your project’s sample rate. Connect the guitar signal to your DAW through your chosen audio interface. Then simply use the convolution software to “apply” the Celestion impulse response to the input guitar signal; and immediately achieve great guitar tone. If you intend to use an external amplifier, such as your favourite tube head, then there are three main ways you’ll be connecting to your audio interface. If you choose one of these options, you should end up with a tone most like what you’re used to hearing from your amp and a regular guitar cab, because you are using both the preamp and the power amp sections of your amplifier to generate the raw guitar signal, (together with the Celestion IR which is the best way to capture the genuine cabinet tone). IMPORTANT NOTE: Don’t plug the amp’s Speaker Out directly into your audio interface, but rather connect it to an appropriate load, one that matches the amp’s expected impedance. For example, if your amp expects an 8Ω load, you need an 8Ω speaker cab, or 8Ω dummy load. Failure to do so may result in a blown output transformer. Connect the DI box to your speaker cabinet. This is important as the amplifier must “see” a speaker load. Connect the line level from the DI box to your audio interface to capture the raw guitar signal from the amplifier. Connect the line level from the load box to your audio interface. NOTE1: The load box provides the impedance load that would normally be supplied by the speakers, so a cabinet connection is not necessary. NOTE2: This option is silent, so you won’t disturb the neighbours! Connect the line out to your audio interface. TIP1: Use the Pre EQ connector (if there is one) or alternatively disable the speaker compensation EQ, it’s not required: this is what you’ll be using the impulse responses for. TIP2: The best sound quality is achieved without attenuation, but this option can be made quieter with attenuation. Choosing one of these options takes a lot of the guesswork out of recording your guitar tracks, enabling you to monitor the guitars in real time, making changes as and when necessary. Best of all, there’s no time-consuming messing around with mic placement – we’ve done that all for you! If you aren’t using an external amp, you can plug directly into the instrument level input on your audio interface (if you don’t have an instrument level input you may need a DI box or a preamp with a high impedance input to convert the guitar signal to a low impedance mic level / line level signal). Chances are, unless you want a completely unembellished guitar sound, you’ll likely be using a software-based amp modeller. Many of these come supplied with their own cabinet simulations, however we’d recommend bypassing these to get the full benefit of the Celestion impulse responses, which will give you a much more realistic recreation of Celestion speaker tone. TIP: We’ve notice a significant improvement in sound quality, particularly on more budget interfaces, when using a good DI box. It’s a lot quieter and better sounding if you’re using amp sim plugins. TIP: For optimum results, make sure the convolution plugin is after the amp simulator plugin in the signal chain. The Celestion impulse responses are designed to work with all the leading brands of amp modelling hardware currently available. Many of these will accept .wav files directly (these is the file format we use for our IRs). Some hardware types require the .wav files to be converted prior to loading. This is usually a very straightforward process, but it may require the use of the supplier’s own conversion app. Check your amp modelling hardware documentation for more information on how to do this. If you’re fully familiar with the operational details of impulse responses and such things as sample rates and lengths, then you’ll need no further guidance for downloading the format that’s right for your amp modelling hardware. If you’re not so sure, then read on. The Celestion impulse responses have been specifically formatted for a number of popular modelling hardware types, which can all be downloaded direct from the My Download area. NOTE: if your brand/model of hardware is not included, chances are the format you need is still available in the IR download pack, we just need to figure out which one you need. Each impulse response has been made available at the four most commonly used sample rates (44.1 kHz, 48 kHz, 88 kHz and 96 kHz). Simply consult your hardware’s documentation to find out the sample rate required and select that from drop down menu 2 in the My Download area. Your IRs will be delivered in two lengths 200 ms and 500 ms. Again, your hardware’s documentation should tell you which length to use. Our intention is to give you the widest range of professional quality guitar and bass guitar speaker tones possible. No matter the style, genre or mood of your project, we want you to find exactly the right sound. In order to do this, we’ve recorded using the high quality “generic” cabinet types (for the “core” Celestion speaker IRs) and specified manufacturers cabs (for the Backline Heroes range). These have been recorded, with what we would suggest are the best loved studio microphones for recording guitar and bass tone; although I’m sure everyone has their own favourite. Under the watchful eye of a multi-platinum engineer/producer, we’ve found our favourite mic placements for each speaker type, with the sole intention of delivering killer tone. 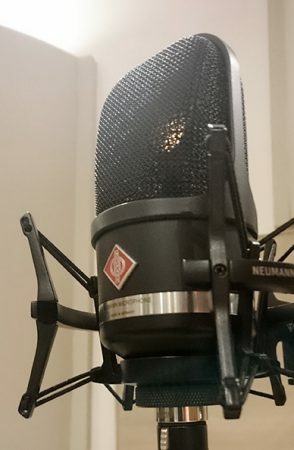 Once we completed those recordings, we put together a range of mic blends to provide a few additional tonal flavours, including some “wet” mixes, where we added some of the room response, recorded using a pair of Neumann TLM 107 microphones. The results have been distilled into a pack of impulse responses ready to be added to your DAW or standalone modelling hardware, which we believe are the truest and best sounding digital representations of Celestion speaker tone currently available anywhere. We hope you’ll have fun with these IRs as you experiment with the different variations in your quest for the perfect tone.